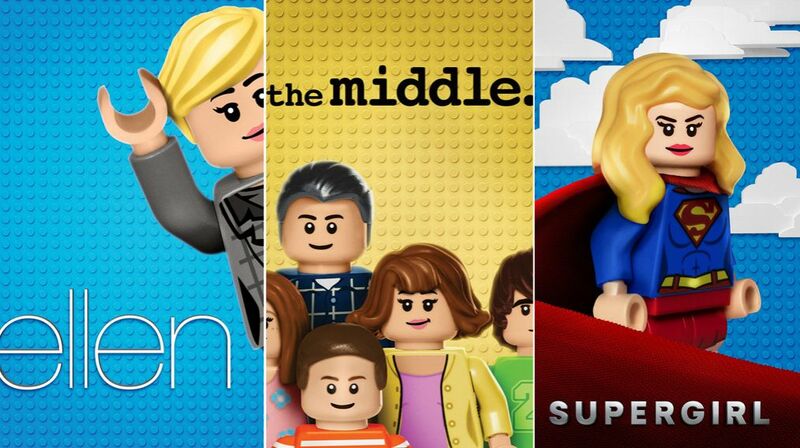 In honor of the Feb. 10th premiere of The LEGO Batman Movie, the crimefighters (and comedies) from Warner Bros. Television Group have undergone an intricate makeover that features the stars of Arrow, The Flash, Supergirl, DC's Legends of Tomorrow and Gotham, as well as Mom, Ellen, The Big Bang Theory and The Middle all recreated out of LEGOs. Made from more than 10,000 bricks, the toy-version of our TV faves are being used in massive billboards outside Warner Bros.' Burbank studios and end-card segments on each of their shows. In addition, LEGO Batman will pop up in super-producer Greg Berlanti's logo at the end of every episode and there will be movie spots showcasing the LEGO mini-figure versions of The Flash, Supergirl, The Atom and Green Arrow, all voiced by the actors who play them on The CW. Honestly, when the original LEGO Movie told us that everything was awesome, we really didn't expect anything this awesome.